Enquire or book a trip along Cần Thơ - Châu Đốc - Long Xuyên - Châu Đốc. 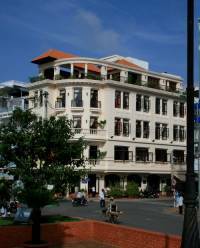 Boarding at Can Tho at noon. Welcome drink, introduction to the ship and crew, check-in into the cabins. Departure towards upstream on the Bassac river. Lunch is served on board while en route. After lunch, transfer onto a local boat for the visit of a village of the Muslim Cham minority and a floating fish farm on the way. Boarding back and departure downstream on the Bassac river. Just relax on the upper deck with the sunset around the open bar. 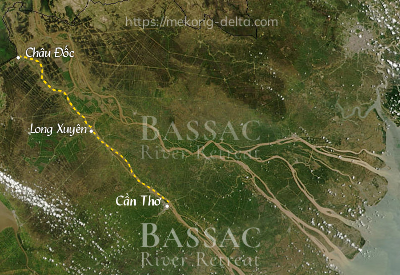 The Bassac drops anchor on Song Hau, the Bassac river, for the night, near Long Xuyen.